It seems odd that PNG and Cook Islands have woken up a bit with organising tests (PNG in Cup of Nations in November). BUT from WR site it looks as though they won't be participating in any RWC qualifiers. Can anyone throw any light on this? AFAIK, they should be eligible for global repechage. And it's a bit of a WTF to see Cook Islands tour the Americas, but nice. We also learn Cook Islands will host two tests in November. Really astonishing. Armchair Fan wrote: AFAIK, they should be eligible for global repechage. And it's a bit of a WTF to see Cook Islands tour the Americas, but nice. paratus wrote: It seems odd that PNG and Cook Islands have woken up a bit with organising tests (PNG in Cup of Nations in November). BUT from WR site it looks as though they won't be participating in any RWC qualifiers. Can anyone throw any light on this? I dont think its odd. Now that they have an easier* path to RWC, it is good too see that they are taking it seriously and preparing themselves by playing tests against teams from other regions. I am disappointed Oceania Rugby arent helping them out more by organising the Oceania Cup every year, instead of every odd year. * Ok, the winner of the 2017 Oceania Cup playing ARC runners-up (HGK or KOR), followed by the global rep. (with 1 PI/Europe, 1 Africa, 1 Americas), that doesnt seem easy on paper, considering that they had to play the 3rd PI before, they must fancy their chances better than before. Ok, got it now, was being a bit thick. I think the repechage match v Korea/Hong Kong should be really telling of where the Cookies/PNG really stand in the world order - at present I think their rankings are way below their true standard (partly because they had points deducted for not playing a match a couple of years ago). Anyway I think PNG will probably beat Zimbabwe in the Cup of Nations and should run Hong Kong close (even Russia, depending on the team sent). Cookies against Brazil and Mexico is going to be interesting too, but I would expect a comfortable win over Mexico. I hope these fixtures go ahead, exciting times for emerging/marginal teams. Do you really think that Papua New Guinea could beat the Sables? It would be great to hear that because it would mean that the minor Oceania teams have made a lot of progress and it would shake up the rankings a little bit. But I have not heard that PNG have some professional players overseas because they are so interested in Rugby league. The Sables have atleast 4 as much as I know.. I agree with you that the Cook Islands are much better than they are ranked in the world. They have some players in the Mitre 10 Cup and NZ Heartland Division. And they have played a match against the NZ Heartland side Thames Valley back in 2014, losing 19:12, a very good score for a minor national team. I think it is very good that both PNG and the Cooks are doing these games and I personally hope that the other minor nations of Oceania can profit from their improvement in the upcoming Oceania Cup next year. Rugby is really important in these countries and I think if World Rugby helps them they could even get stronger if they had those opportunities every year! French Polynesia/Tahiti federation presented the prospect for 2018 and there are no mentions of the RWCQ barrage against Asia1. No mentions at all of a senior national team activity. For anyone that follows Fiji, have you seen a marked improvement in the team since the Drua started playing in the NRC? I only counted 7 (according to Wikipedia) who actually play for them so I would imagine this just helps with their depth. Having a deep squad is something many T2 Nations struggle with though. I saw a piece here about trying to get a combined Pacific team in Super Rugby mainly based out of Suva. Although it does seem like a partially political decision on the part of the NZ govt in the Pacific however any team playing games in the pacific is a good step and it seems to have the right backers in NZ. Though playing games in 5 different countries is not easy. Hopefully it would make the New Zealand teams a little less good. 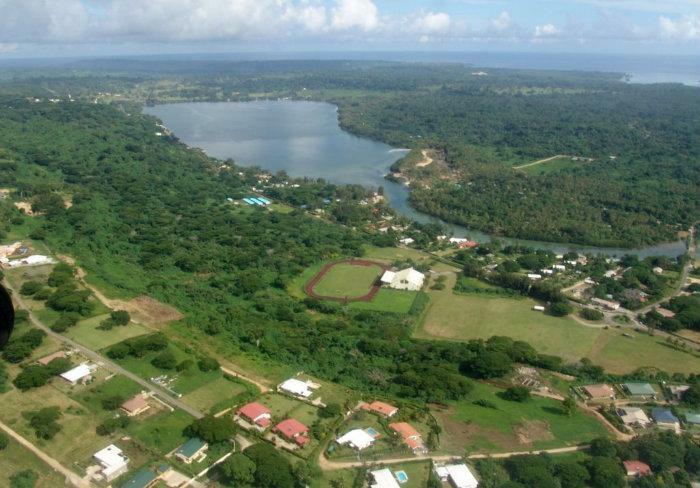 Linkbelt Oval on Nauru would probably be the venue if the game was played in Nauru. It is the national sports stadium and the small nation's Australian Football League (which, interestingly enough, is their national sport) takes place there. 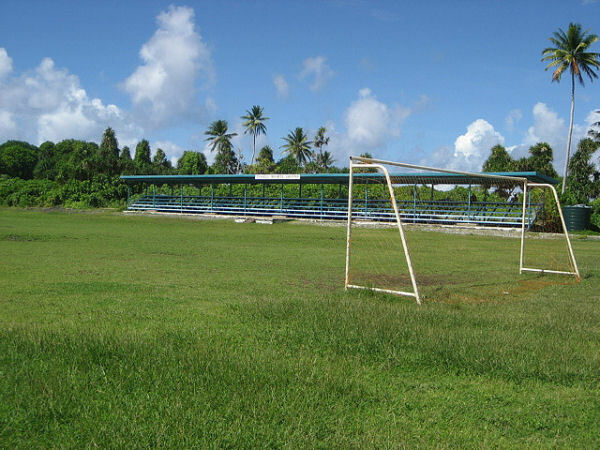 If it is played in Tuvalu, then they would probably play on Tuvalu Sports Ground in Vaiaku. In my opinion, it would be much more suitable because it's a natural grass field, while the Linkbelt Oval on Nauru is made of stone dust. Tuvalu and Vanuatu are two different countries. Vanuatu is a FIFA and World Rugby member and its islands are high with mountains and dense forests with more than one hundred languages spoken. It has a stadium. Tuvalu is smaller. Its islands are at sea level and thretened by Ocean level rise. It has only about 10.000 people and it is not a FIFA or World Rugby member. But it is associated to Oceania Rugby and Oceania Football Confederation. They dont have a proper stadium. victorsra wrote: Tuvalu and Vanuatu are two different countries. Yes, my mistake: I wanted to talk about Tuvalu but I wrote twice "Vanuatu"